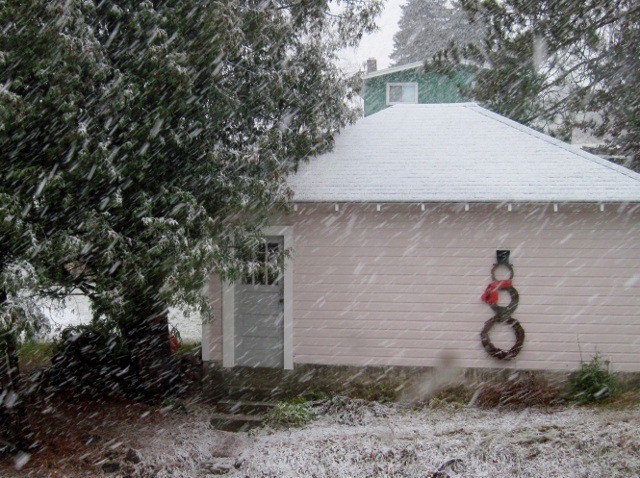 I guess the first snow means you'll have to take the pumpkin picture down and put the snowy picture on your blog again. Love how simple looking the snow man is. Less is more. Did you get hit hard up there? I can't believe it STUCK to the ground here! Hanneke, I love your snowman! 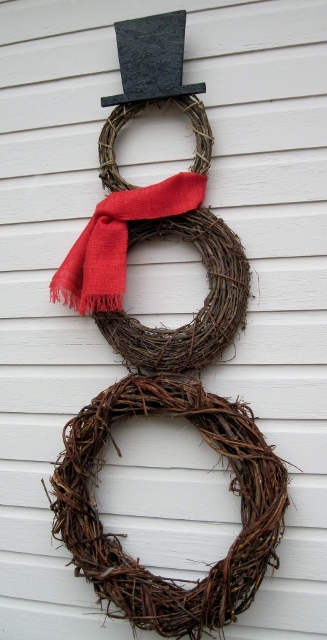 The grapevine wreaths and the simple splash of red in the scarf make for a very elegant piece of holiday decor! With all the blog parties out there, and at one of the busiest times of the year, it means an awful lot that you take the time to share your talent on “A Little Birdie Told Me…” Tuesdays at Rook No. 17! Hanneke, just wanted to come back to let you know that I'm featuring your post on tomorrow's party!